From Billboard - January 20, 1968: SSS International tries to capture the success of Kreskin's "ESP" party game on the recorded disk. There are 10 tests here, along with an introduction and instruction band. 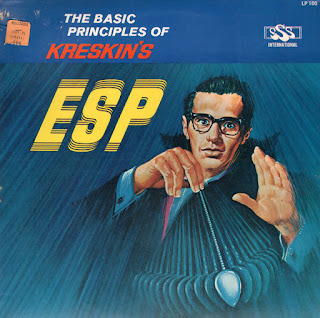 Depending on the amount of exposure on radio and television and transcendental waves messages emitted, this album could catch many people's fancy. 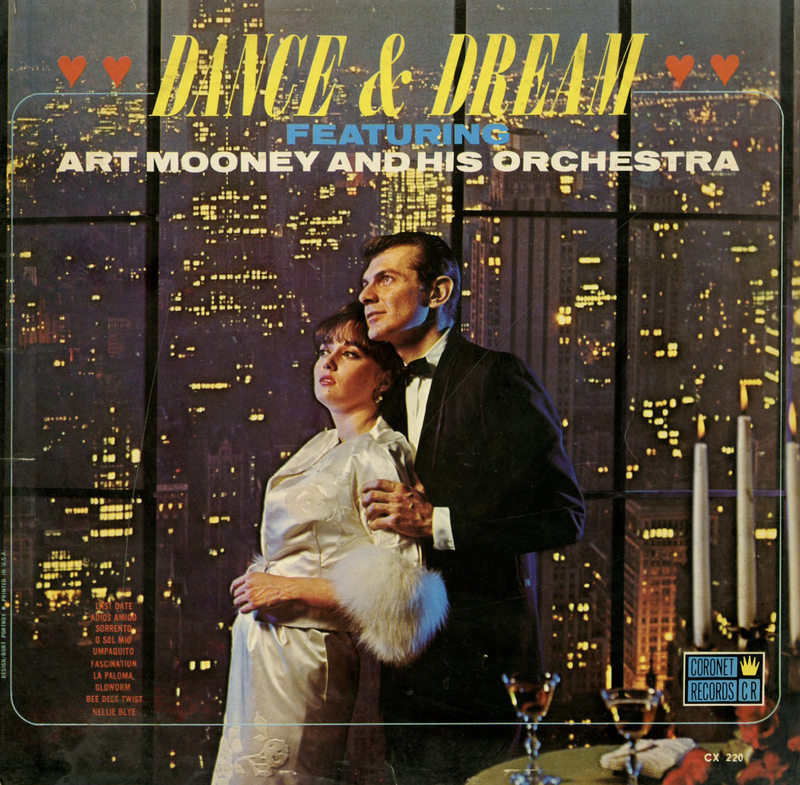 A Division Of Premier Album, Inc.
A budget complication of Mooney's work featuring a set of tunes that is so divergent that I wonder if all the tracks were actually produced by Mooney's orchestra. You will note from the sample that there is no followthrough in theme as featured on the cover. 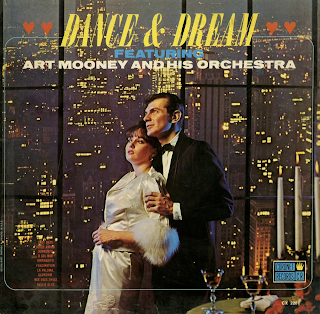 From the back cover: Art Mooney was born in Lowell, Massachusetts. However, his family soon moved to Detroit where Art grew up. His father was a member of the police force there and Art Mooney went to a technical high school in Detroit to study to become a linotype operator. It was through his mother's urging that Art began to study the saxophone. He took to the saxophone immediately and soon got a group of his high school friends together and started a band. This group played all the local school dances around the city. After graduation, Art Mooney gave up the idea of music and pursued his career as a linotype operator. However, he wasn't on the job very long when he started to dabble in music in his spare time. Soon Art got odd jobs playing his sax at night with local bands and he began to love it and started thinking about a band of his own. He got his first opportunity when, as a linotype operator, he was to set up an ad announcing the engagement of one of the top bands of the time, instead Art Mooney inserted his own name and, although he was fired from the job, he felt it was a good break for him because it gave him a chance to try his luck in the music world. He formed a band and started on the road but soon was drafted in the Army. For three and a half years, Art Moony conducted the Miami Beach Air Corps band and when he was released from service he had already made a name for himself through his record hits of "Roll Out The Barrel" and "I've Been Working On The Railroad." He then organized a band and was waiting for the big chance when he finally got a two week engagement at the New York's Lincoln and Edison Hotels; the engagement extended itself for eight months. From this date, Art won a radio network contract and his future was made. Soon after this, Art had some of his biggest hit records which included "I'm Looking Over A Four Leaf Clover", "Baby Face", "Five Feet Two", "Again", "Honey Babe" and many others. Since that time, Art has been doing television shows and has also appeared in some motion pictures. He enjoys golf, swimming and tennis and is a classical records collector.